Now that our students were facile with using a motor as part of building a device, we decided it was time to wander into the world of simple robots and see how far our students could build off the motor concept. We presented this challenge by stating that the ES secretaries needed the third graders to produce an artistic mural for the ES foyer. Then we introduced the concept of the art bot. Mike Moody, our design tech ally, had mocked up a model and gave a demo. From the moment they saw it work, they were hooked. The new component we had to introduce was the idea of adding a weight, or a washer, to one side of the bot to create the instability that causes the bot literally jump in circles on the paper. 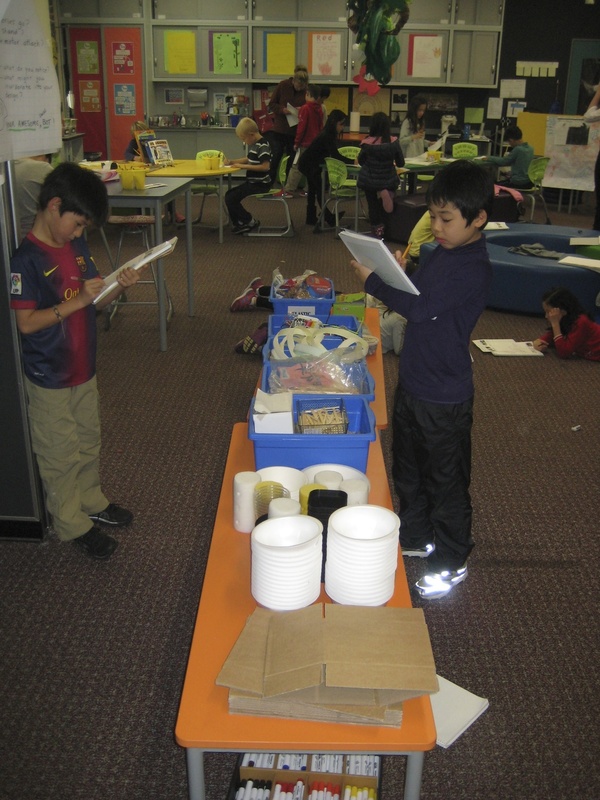 We sourced this activity with our usual array of building materials including paper cups and plates. We also had a variety of markers on hand. The biggest challenge for the students was figuring out how to attach the markers evenly so all of their points were simultaneously in contact with the paper surface. It was also a challenge to attach the motor components in a way that let the art bot be a free drawing "hands off" device. 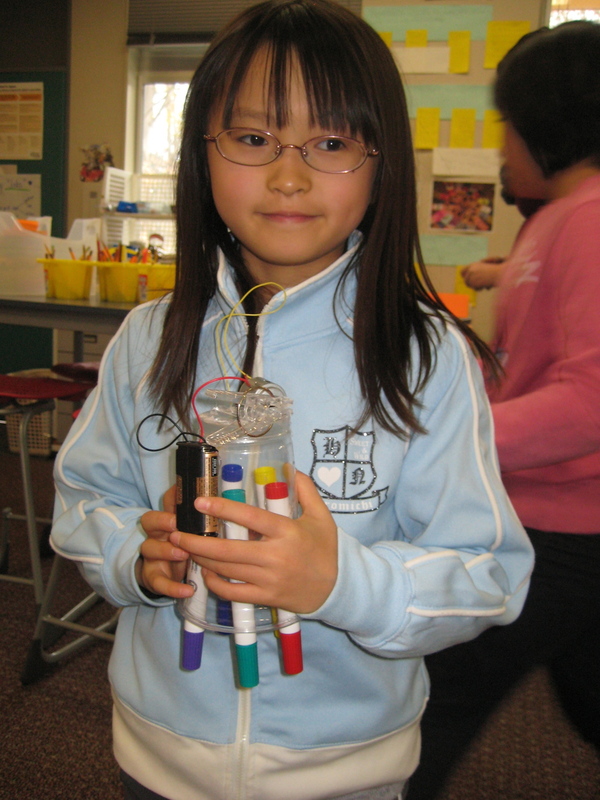 Controlling the power of the vibration was another interesting facet of the experience; some students designed art bots that drew in slow methodic circles while others built art bots that functioned like Spirograph on steroids! Finally, we asked the children to reflect on their experience of working in a team and building the ArtBot. They used Doodlecast Pro to capture their thinking. This year we changed the order of some of our design tasks. 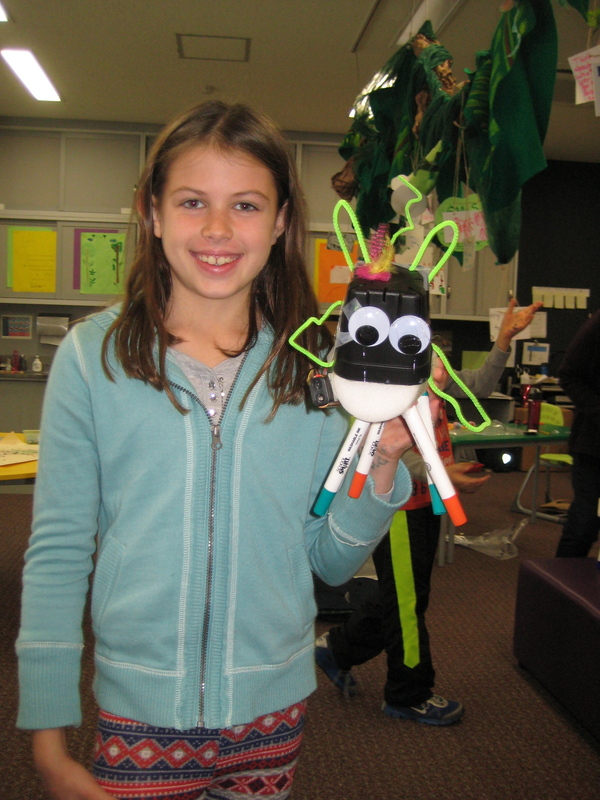 As a result, this ArtBot experience was the first opportunity the students had to work with adding motors to a circuit. In order to immerse the students into using motors, we asked them to first use what they knew about circuits to get a motor to work. The children were quickly able to manipulate the wires to create a working circuit. After they had a working circuit, we asked them to add an item to the motor. We were interested in what they noticed when a weight was added to the motor. 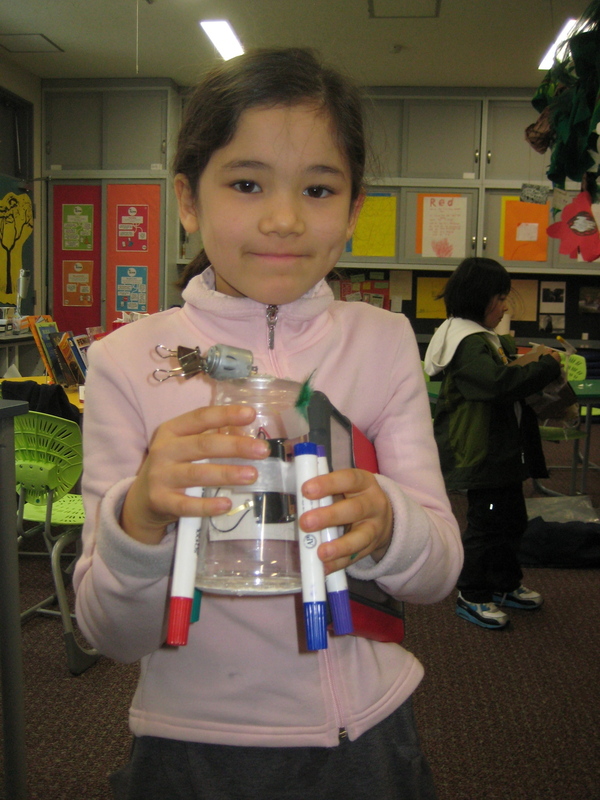 The children quickly noticed that adding a weight caused the circuit to “jump” or “shake”. We then had them sketch and label their circuit including their thinking. Before we showed the design task we wanted to isolate their understandings of a simple circuit with a motor. Next we shared our “Needs Statement” with the group. The “Needs Statement” serves to focus the activity and give a purpose outside of just building. Whenever possible we like to have a specific user as it focuses empathy and understanding. 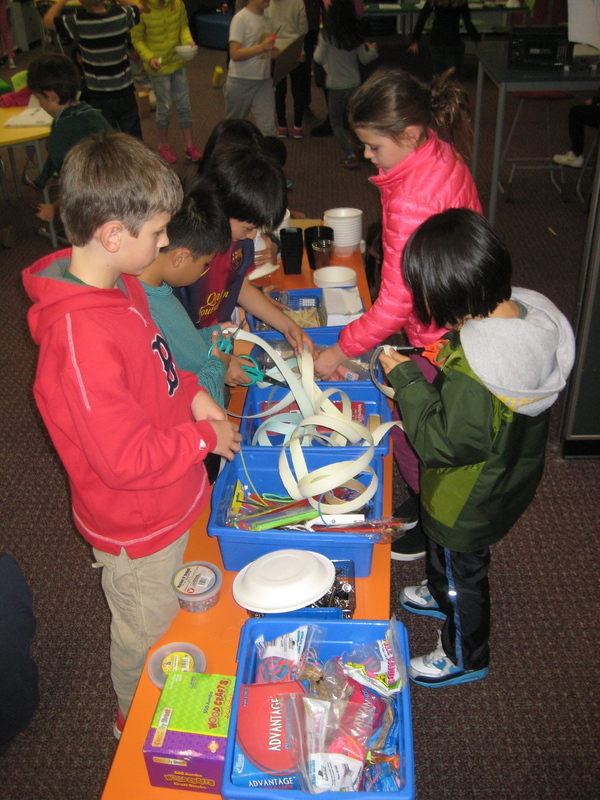 To continue the immersion into motors and support growing ideas for their own ArtBots, we put together a bit.ly of YouTube videos showing children making different shaped ArtBots using a variety of materials. We purposefully chose videos that were short, clear, used unique design ideas and we age-appropriate. The children watched the bit.ly with a focus of what materials they might need, where a motor is located, and how they might design their own. After watching the videos, we asked each child to sketch at least two ideas for their design. This design task was completed independently. Each child was responsible for making their own Bot. Because they did not collaborate with a partner, we wanted to offer scaffolding with videos and sketches to get their thinking clear and visible. We had an array of materials out so that the children had a start of what might be possible to use. 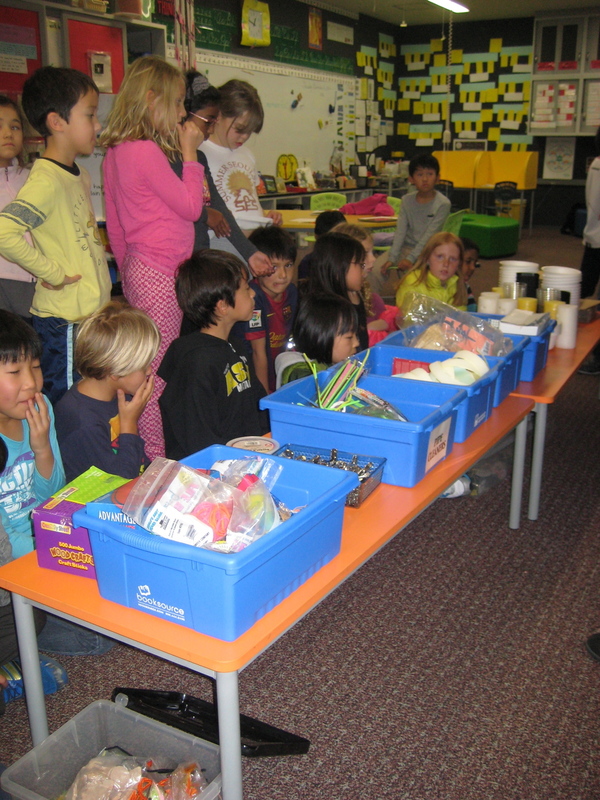 We wanted to focus their thinking about materials and added a box for them to jot down notes. Again we did a gallery walk. The purpose of this walk was twofold: first, in order to give feedback for design ideas that looked like they would work. Second, was to see if anyone had good ideas that the students wanted to incorporate into their own work. Finally, we began to process of building, testing and adjusting. 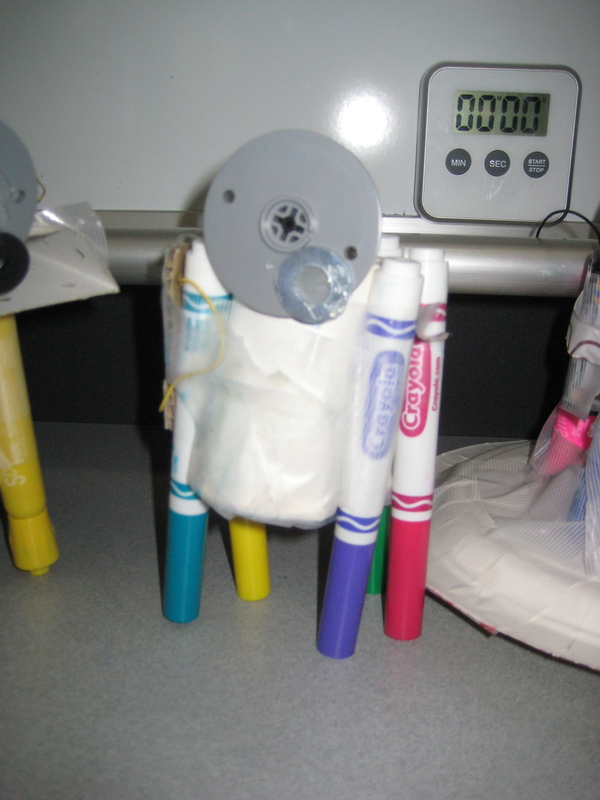 The finished ArtBots and art produced were truly unique and served to decorate our room. After the children finished their ArtBots, they completed a reflection on working as a designer. We asked them to extend their thinking on one aspect that was challenging and one where they felt successful.